Round 34 OctaFX Champion: welcome new winners! Our most famous contest with $1000 prize fund has finished its 34th round! No one can deny the popularity of OctaFX Champion Demo contest! Every month thousands of traders enroll in the competition. Every month we award 3 best traders and give one consolatory prize! Keep track of our news to read winners’ interviews! They will serve you as a good motivation to take part in the next round! We would like to thank everyone for participation. The contest was designed for our clients to estimate their abilities, gain experience and have fun competing on demo accounts! 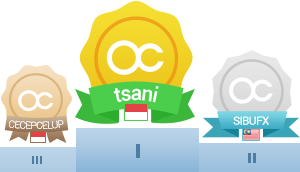 The true spirit of healthy competition reigns on the field of OctaFX Champion Demo contest! Take your chance to find your name in the news next time - register in OctaFX Champion Demo Contest Round 36! Be the Champion with OctaFX! Being devoted to our clients, we didn’t inflict any changes upon CHF cross trades. All the negative balances are restored. Round 2 OctaFX Supercharged winner is aimed at victory! OctaFX Supercharged real contest continues bringing our traders yet another iPhone!